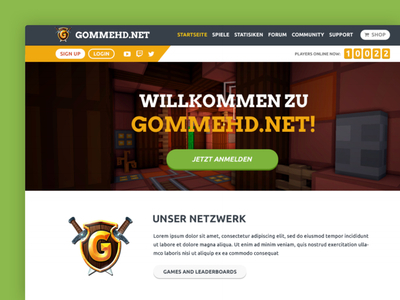 GommeHD.net is one of the world's leading Minecraft server networks. With a community of more than 2 million players and 20,000 slots, GommeHD.net is Germany's largest Minecraft network. GommeHD approached our team needing a homepage and forum design with an emphasis on Minecraft-esque illustrations.